У статті розглянуто проблеми формування системи відносних показників ефективності трудових ресурсів і витрат на оплату праці, вихідною інформацією для яких служить відкрита фінансова і статистична звітність суб'єктів господарської діяльності. На жаль, ці форми звітності містять недостатній обсяг інформації про людський капітал. Разом з тим, саме трудові ресурси здатні утримувати в собі величезний потенціал конкурентних переваг тієї чи іншої компанії, а тому їх правильна оцінка дуже важлива для інвесторів, кредиторів та інших зацікавлених осіб. Визначені найбільш релевантні коефіцієнти, що відображають продуктивність і рентабельність персоналу та витрат на його оплату. Емпірико-статистичні дослідження проводились на основі звітності підприємств готельно-ресторанного бізнесу (КВЕД 55.10). Специфікою цього виду діяльності є акцент на надання сервісних послуг. Саме для такої галузевої спрямованості характерна провідна роль впливу ефекту використання трудових ресурсів на сукупний фінансовий результат. Обмеженість у вихідних даних відкритої фінансової і статистичної звітністю дозволяє розраховувати показники продуктивності праці тільки у вартісній формі. При обчисленні продуктивності порівняння здійснюються з доходом, а при обчисленні рентабельності — з валовим або чистим прибутком. Встановлено, що аналіз таких коефіцієнтів необхідно проводити не тільки в динаміці, а й в порівнянні з середньогалузевими показниками. Такий аналіз здатний виявити екзогенну або ендогенну природу найбільш істотних факторів, які визначають тенденцію зміни продуктивності і рентабельності трудових ресурсів і витрат на оплату праці конкретної компанії. Особливо важливо звертати увагу на випадки істотного відхилення значень індикаторів від їх середньогалузевих значень, кожен такий випадок вимагає більш ретельного дослідження з детальним виявленням причин. У разі виявлення негативних (в порівнянні з середньогалузевими) тенденцій продуктивності праці без одночасних істотних відхилень середньомісячної заробітної плати від її середньогалузевих значень, менеджменту персоналу рекомендується приділяти найбільшу увагу методам соціального стимулювання праці. Ключові слова: продуктивність праці; рентабельність персоналу; Звіт про фінансові результати (Звіт про сукупний дохід); Звіт з праці; дохід на одного працівника; середньогалузева заробітна плата; рентабельність витрат на оплату праці. The article deals with the problems of forming a system of relative indicators of labor resources efficiency and labor costs, the initial information for which is open financial and statistical reporting of business entities. Unfortunately, these reporting forms contain insufficient information about human capital. At the same time, it is the labor resources that are capable of containing the enormous potential of a competitive advantage of a company, and therefore their correct assessment is very important for investors, creditors and other interested parties. The article identifies the most relevant coefficients, reflecting the productivity and profitability of staff and the cost of its payment. Empirical and statistical studies are carried out on the basis of the reporting of enterprises of the hotel and restaurant business (KVED 55.10). The specificity of this type of activity is an emphasis on the provision of services. It is for such an industry focus that the leading role of the effect of the use of labor resources on the aggregate financial result is characteristic. The limitation in the source data by open financial and statistical reporting allows calculating indicators of labor productivity only in value terms. When calculating performance, the comparison is carried out with income, and when calculating profitability with gross or net profit. It is established that the analysis of such coefficients should be carried out in dynamics and in comparison with the industry average indicators. Such an analysis is able to reveal the exogenous or endogenous nature of the most significant factors determining the trend of changes in productivity and profitability of labor resources and labor costs of a particular company. It is especially important to pay attention to cases of significant deviation of the indicator values from their average industry values; each such case requires more careful research with a detailed identification of the causes. If negative (compared with the industry average) trends in labor productivity are revealed without simultaneous significant deviations of the average monthly wage from its industry average values, it is recommended that the personnel management pay the most attention to the methods of social incentives. Keywords: labor productivity; staff profitability; Profit and loss statement (statement of comprehensive income); Labor Report; income per employee; average industry wages; profitability of labor costs. 1. Davydjuk, T. V. (2009), "Accounting of human capital as a means of managing the activities of the enterprise", Collection of scientific works (Podolsky State Agrarian and Technical University), Vol. 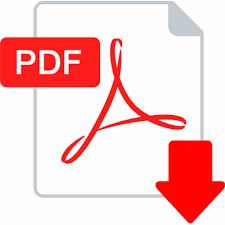 17, no.2, pp.117-120, available at: http://repository.kpi.kharkov.ua/handle/KhPI-Press/34707 (Accessed 05 Nov 2018). 2. Kumbhakar, S. C. (2006), "Productivity and efficiency measurement using parametric econometric methods", Transparency, governance, and markets, Elsevier, Oxford, pp. 21-61, available at: https://www.cerge-ei.cz/pdf/events/papers/061124_t.pdf (Accessed 05 Nov 2018). 3. Konorev, A. M. Krivoshlykov, V. S. and Zhahov, N. V. (2016), "The efficiency of use of labor resources in the agricultural sector of the Kursk region", Bulletin of the Kursk State Agricultural Academy, Vol. 4, Available at: https://elibrary.ru/item.asp?id=26642829 (Accessed 05 Nov 2018). 4. Harnish, V. (2006), "Revenue per Employee", Available at: https://gazelles.com/static/resources/articles/RevenueperEmployee.pdf (Accessed 05 Nov 2018). 5. Lukic, R. (2015), "The Analysis of Profit per Employee in the Trade of Serbia. ", Economia. Seria Management, vol.18(1), pp. 5—16, Available at: http://www.management.ase.ro/reveconomia/2015-1/1.pdf (Accessed 05 Nov 2018). 6. Siimann, P. and Alver, J. (2015), "On using an efficiency matrix in analysing profit per employee (on the basis of the Estonian SME software sector)", Zeszyty Teoretyczne Rachunkowosci, vol.84(140), Available at: https://www.ceeol.com/search/article-detail?id=298447 (Accessed 05 Nov 2018). 7. Faljchenko, O. O. (2017), "Social stimulation of labor in the hotel and restaurant industry", Global and national problems of the economy, vol. 20, pp. 607-610, Available at: http://global-national.in.ua/archive/20-2017/124.pdf (Accessed 05 Nov 2018). 8. Agency for the development of stock market infrastructure in Ukraine (2018), "Database of financial statements of issuers", Available at: https://smida.gov.ua/db/emitent (Accessed 05 Nov 2018). 9. State Statistics Service of Ukraine (2016), "The statistical compilation "The activities of business entities", Available at: http://www.ukrstat.gov.ua/druk/publicat/kat_u/2017/zb/11/zb_dsg2016pdf.zip (Accessed 05 Nov 2018). PhD in Economics, Associate Professor of the Department of Economic Analysis and Accounting; Educational and Scientific Institute of Economics, Management and International Business; National Technical University "Kharkiv Polytechnic Institute"
Master of the Department of Economic Analysis and Accounting; Educational and Scientific Institute of Economics, Management and International Business; National Technical University "Kharkiv Polytechnic Institute"